Collection / Sketches that Became Paintings	/ Open Doorway at the Capilla of Aldea, San Miguel de Allende. When I first painted this capilla, I thought that I should introduce a figure exiting it to create human interest and a focal point. 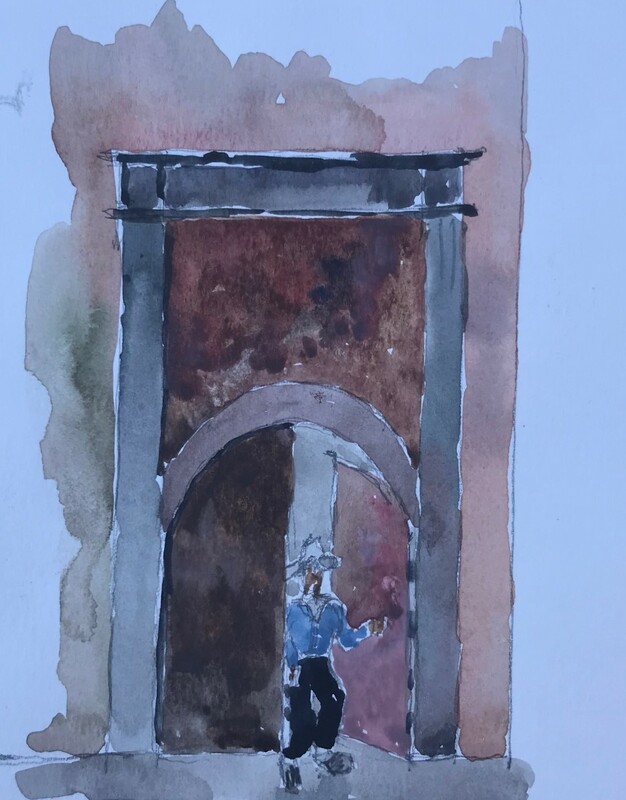 Feedback for "Open Doorway at the Capilla of Aldea, San Miguel de Allende." Purchase Inquiry "Open Doorway at the Capilla of Aldea, San Miguel de Allende."